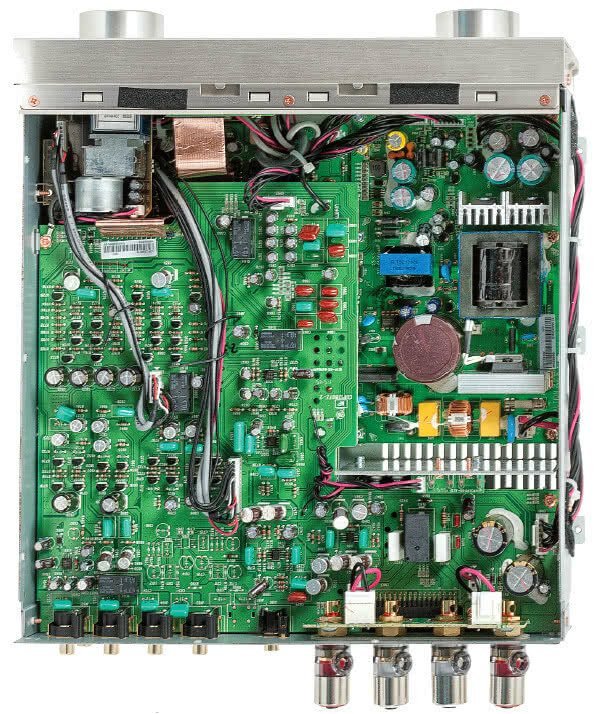 This is a review and detailed measurements of the all-in-one Marantz HD-AMP1 DAC and integrated amplifier. It is on kind loan from a member and retails for USD $1,100 including free Prime shipping from Amazon. There are both digital inputs and analog allowing one to build a complete system around the HD-AMP1. I was surprised to not see RCA outputs though so no convenient way to use its internal DAC by itself. Amplification is through class-D technology which allowed the unit to run cool. Without permission from its owner though, I did not put it through thermal stress. In addition to speaker output, there is also a headphone jack so I tested the output through that too. There is a lot of functionality in HD-AMP1. I chose to test a few of them in this feature and will test more based on requests. As you see, I set the output to 2 volt which is the nominal output of stand-alone DACs. Alas, performance is nothing to write home about. Second harmonic distortion is quite high, setting the SINAD at just 85 dB. This would put in the fourth quadrant of DACs tested (with one being the best). We also have fair bit of harmonic spikes from the power supply from 180 Hz and up (multiple of 60 Hz mains frequency in US). There are internal gain settings but I did not mess with them. As it is, level of noise and distortion is quite high relative to desktop DAC+amp products. Power output however is decent. 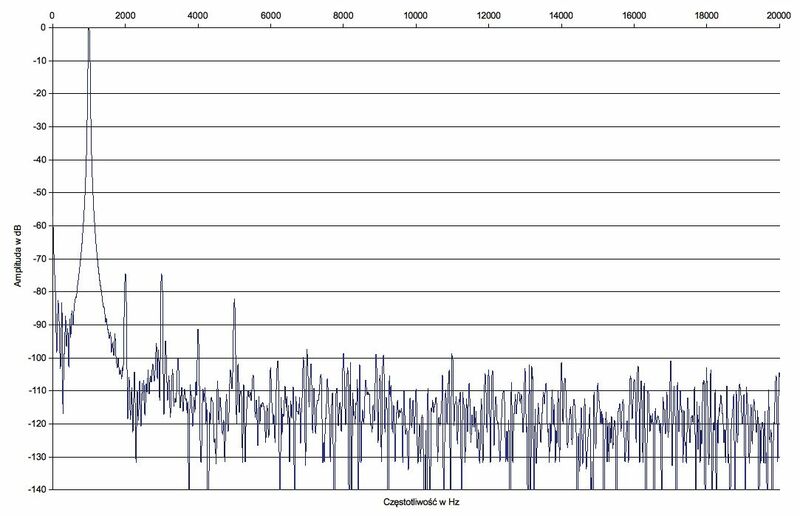 I have plotted three graphs using three different volume controls with input being swept up to 2 volts. Distortion climbs less steeply than other amps so hard to know where to stop and measure the wattage. I selected a conservative point and got 47 watts. I believe the rating from Marantz is 70 watts using my 4 ohm load. You could certainly get there and beyond if you tolerate more distortion. As I have noted, the performance is similar to budget amplifiers like NuForce STA-200 (dashed green) but not even remotely getting close to our best in class Hypex NC400 amplifier (dashed blue). Best case performance is about SINAD of 72 dB or so. Above is with my 40 kHz AES-17 filter by the way. The first large spike comes at nearly 500 kHz which I am assuming is the switching frequency of its class-D amplifier. Its second harmonic is at nearly 1 Mhz and down -60 dB. Once again, it is not on the same planet as the Hypex NC400. It also has instability when the analyzer switches its frequency as indicated by the "T" symbols. It takes some 5 seconds for the readings to become stable. We saw this in the Behringer A500 amplifier review. I wanted to like the Marantz HD-AMP1. It has been in demand for quite a while on the forum to measure it. Having done that, I see no signs of excellence. It follows the drifting backward industry trend of "good enough" performance specs. This is reflected in lack of hardly any specifications provided by Marantz. On feature side, it is very strange that there is no RCA outputs to use the DAC and pre-amp with a different power amplifier. Needless to say, I can't recommend the Marantz HD-AMP1. Here's a shot of its innards. Unfortunately I can't seem to find a high-resolution picture. I hope Marantz isn't going down the Accuphase/Nagra way of relying on their mystique (so to say) to crank out mediocre and overpriced products. But at least it has a CSA mark. What a shame... They are under the same umbrella as Denon aren't they? This is a beautiful unit in person. Sad to see it disappoint. Seems that way with alot of the "beautiful" tech. Pull out the Alps blue motorised pot and the speaker terminals and toss the rest. Ooops, should I say, recycle the rest. Not surprising to see the PSU harmonics when the mains side bridge rectifier for the SMPS is sitting right under low level circuitry on the board above. What a mess. -Did you notice any difference in performance with the filter set off, 1 or 2? -What is Headphone SPL for “Max Volume” and “Mid Volume”? 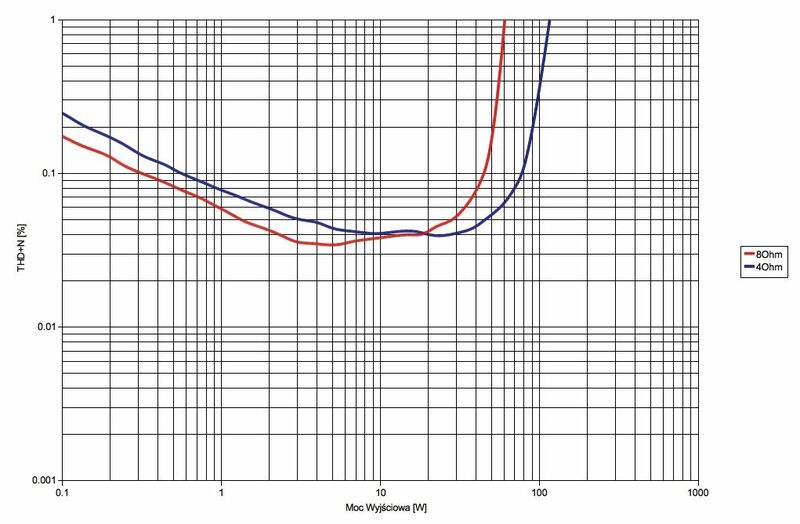 -Any way to measure headphone performance at 70 dB SPL? -Was there any difference in DAC performance between USB, Coaxand Optical? @amirm , based on the less-than-stellar performance I'm slightly afraid to ask, but any chance you could measure headphone section's output impedance? Also, 1 more if it’s not too much, could you run that last test at 8ohm, 5 watt? Yeh, I meant to do that but forgot. Too late tonight but will do so tomorrow. You mean the THD vs frequency test? Yes. Or any meaningful comparison between 4ohm and 8 ohm performance that you feel would be meaningful. You got info others don't? Maybe the drivers are made by Fostex still but since the 7100 their headphones haven't been the standard Fostex OEM designs. Too late tonight but will do so tomorrow. Get some sleep Amir. Walk away from the AP. Respect the harmonic profile, an integrated with H2 at -75 dB is OK, good or very good with music like jazz, acoustics, small classical/baroque groups. The same styles where many prefer tubes amplification. Few acoustic instruments and voices without Autotune (vade retro satana). But with others music styles, like electronic, orchestral, commercial... better ALL harmonics < 90 dB. H3 at -75 dB, the same H2 level is a bad thing. And H5 at -82 dB and higher than H4 is a bad thing too. The harmonics must always be monotonically decreasing, are below or not below 90 dB. It would be a nice bedroom system at half the price. Wow,in my country this goes for ~1100-1200USD.Why would i buy this,not the PM7005 from the same brand for ~750-800?It can do all this except sub-out and DSD11.2....but a lot better measurments.Sure it's smaller and half the weight,and you get fake wood sides. I want to (buy)belive in all-in-one amps with quality headphone outs and DAC's.These things should be as good as a good amp+dac+headphone amp for a premium price being it in 1 nice package. The question is how much would it cost to get similar quality in 2 or 3 diferent devices?For this amp,if it's ~800$ then this could worth the premium being it in 1 device,but if its under 500$.....then we are talking about paying more than 2x,maybe 3x the price for the same sound quality.